Thinking about traveling nearby and keeping it affordable? School buses are the way to go. This type of bus rental is the perfect transportation solution when you simply need to get from Point A to Point B without fuss. 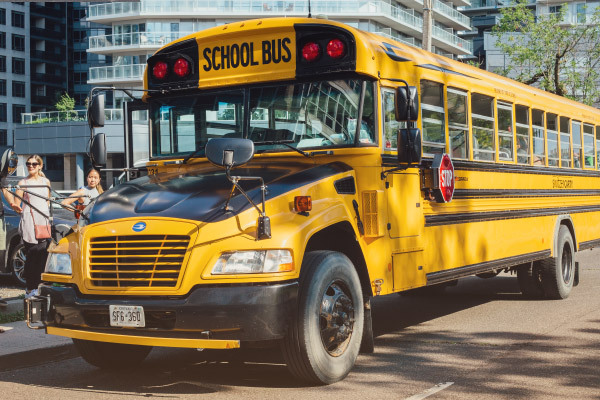 Ideal for local transportation, a school bus charter is both economic and efficient for trips over a short distance that don’t require any additional amenities. As the classic transportation mode from our youth, a school bus is your quick trip down memory lane, and also a cost-friendly option that’s best suited for local travel and small to mid-sized groups. They’re easily recognizable by their iconic yellow exterior, vinyl seats, and windows rolled down in the summer (school buses typically don’t have air conditioning). They are, however, equipped with sturdy security features like specialized brake systems, lighting, emergency exits, and escape hatches in the roof. 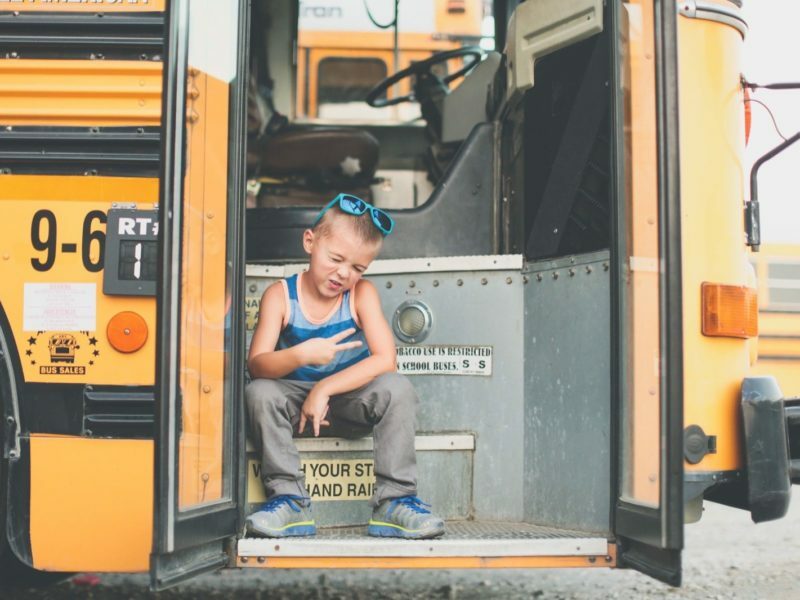 When Should You Rent a School Bus? Due to its lack of suspension system, a school bus rental is better suited for shorter distance travels. You could still charter a school bus for longer trips (anything more than 3 hours! ), but you might find yourself in for a less comfortable ride. School bus rental for weddings are a popular option if you’re looking to organize easy shuttles to move out-of-town guests from their hotels to your venue. Plus, if you need extra space for luggage, like some sports teams, festival goers, and student events like Frosh do, you can always reserve a few seats in the back or front of the school bus for all your equipment! 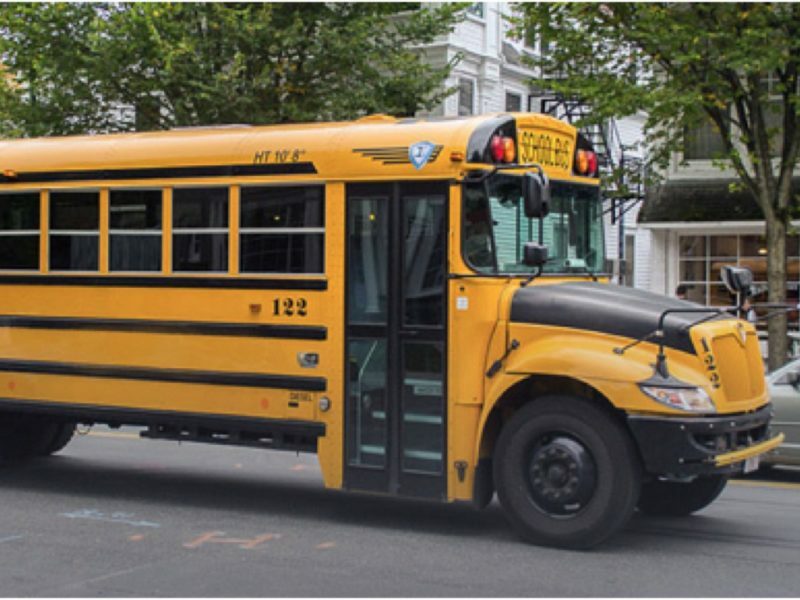 How Much Does It Cost to Rent a School Bus? School bus rental prices tend to be on the more affordable side of the bus charter price spectrum. Average hourly prices start at $81/hr, depending on city and day. Some of the factors considered in the calculation of your charter school bus cost include local availability, trip distance, and seasonality. Need more exact prices? Find out how it costs to rent a school bus for your trip with our instant charter bus quote tool. How Many Seats Are There on a School Bus? Offering between 40-52 seats, a school bus rental is a good fit for small to mid-sized groups in need of short distance transportation. 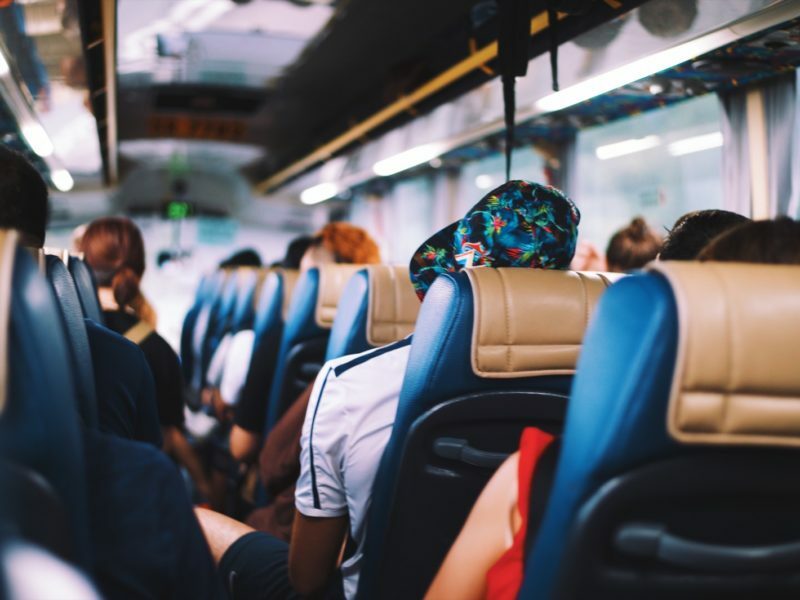 If your group is made up of less than 40 people, consider renting a mini bus instead – it’s essentially a smaller version of the school bus! Does a mini bus seem to be better fitted for your transportation needs? Learn more about mini bus prices and features. Is There Storage on a School Bus? School buses typically come with limited or no storage, but with a little bit of creativity, you can make it work regardless. Set aside your own storage space by reserving a few seats in the front or back of the bus, and there you have it, extra room for baggage! Just make sure you rent a school bus with a number of seats that’s a little over your number of passengers. What Are the Available Amenities on a School Bus? 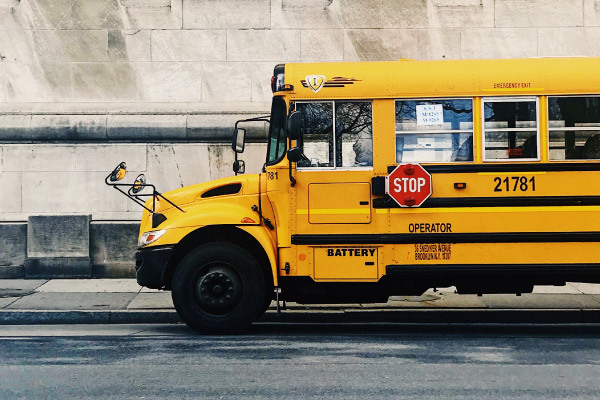 Consider the school bus as the bare bones of buses – you’ll have all the basic essentials for your trip: an easy, affordable, and reliable way to get from Point A to Point B. 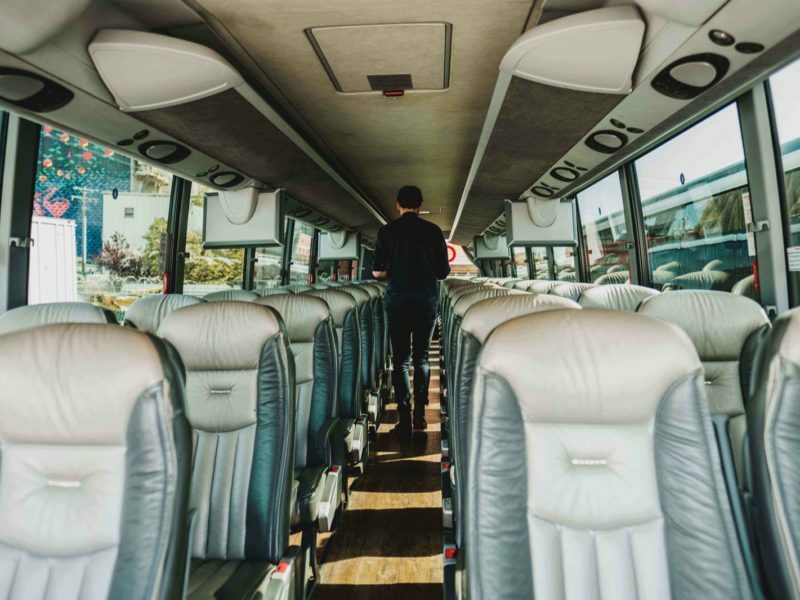 However, the lack of amenities like A/C, storage space, and onboard restrooms means you’ll need to be conscious of how you’re planning your bus rental. What Do People Typically Rent a School Bus For? School buses are super practical, and one of the most inexpensive group transportation options out there. Instead of having a stream of cabs lined up outside your venue (making navigation a bit harder to do! ), set up a convenient school bus rental to guarantee a smooth ride for your guests, whether it’s for your wedding, conference, corporate retreat, or school outing.